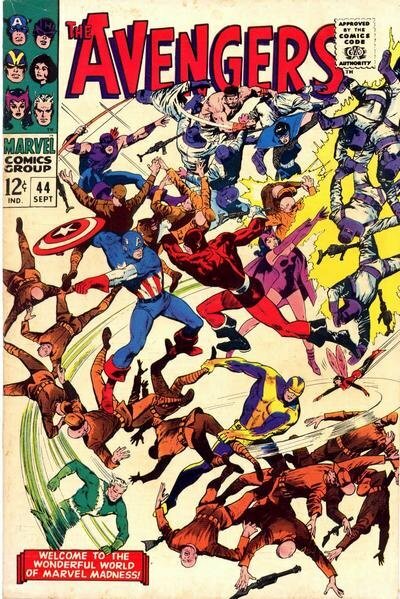 Click Here To See Avengers #44 Comic Book! Check out this very nice, very RARE 1967 LARGE ART Avengers 3/4 SPLASH page, which was penciled by the great John Buscema, and inked by Vince Colletta, from the story titled: "The Valiant Also Die!" This nice page features the Red Guardian, (the Black Widow's husband) and 2 evil foreign leaders showing how their new destruction machine will cause chaos all over the United States!! 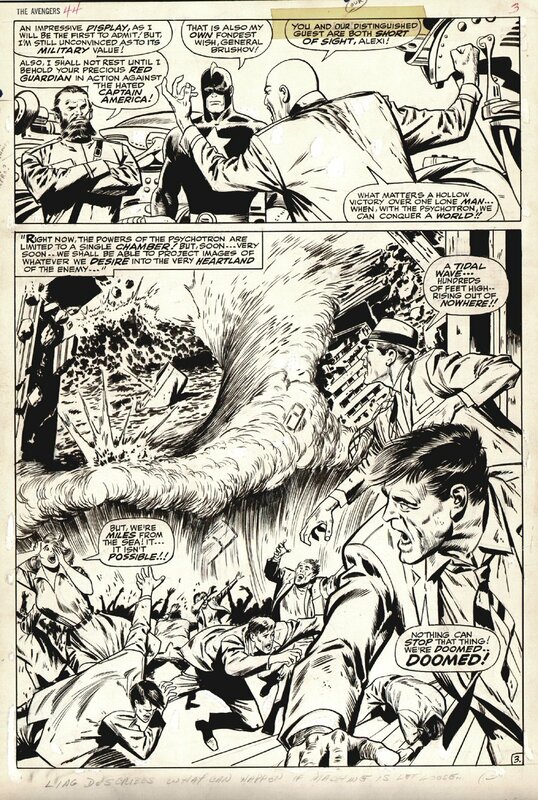 A great opportunity here to own a "RARE" Twice up John Buscema 1960's Avengers page!